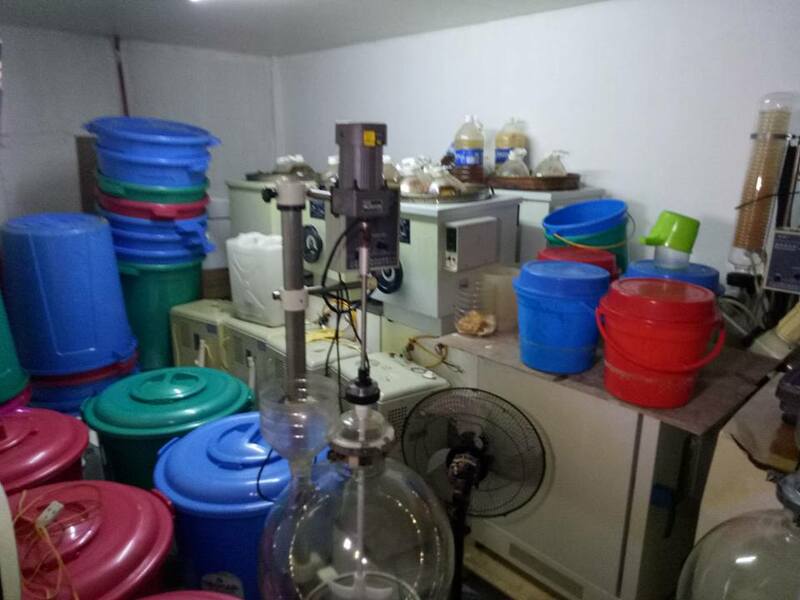 NAGA CITY, 11/27/16 (Bicol Standard) -- The Scene of the Crime Operatives (SOCO) is currently conducting an inventory of the materials and equipment used in the manufacture of shabu in the clandestine drug lab discovered in Barangay Palta, Virac, Catanduanes. Since yesterday, the area has been secured by the army and the police, led by Regional Director Police Chief Supt. Melvin Buenafe, under the order of PNP Chief Ronaldo "Bato" Dela Rosa. At around 6 p.m. Saturday, Search Warrant No. 2016-55 issued by Judge Lelu P. Contreras was served. 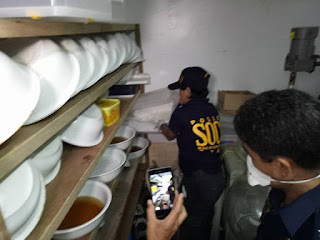 Present during the serving of the search warrant were barangay officials, a representative of the Department of Justice (DOJ), the caretaker Laurence Perenia, and Angelica Balmadrid, the owner of the property, which was being leased to a certain Jayson Uy. 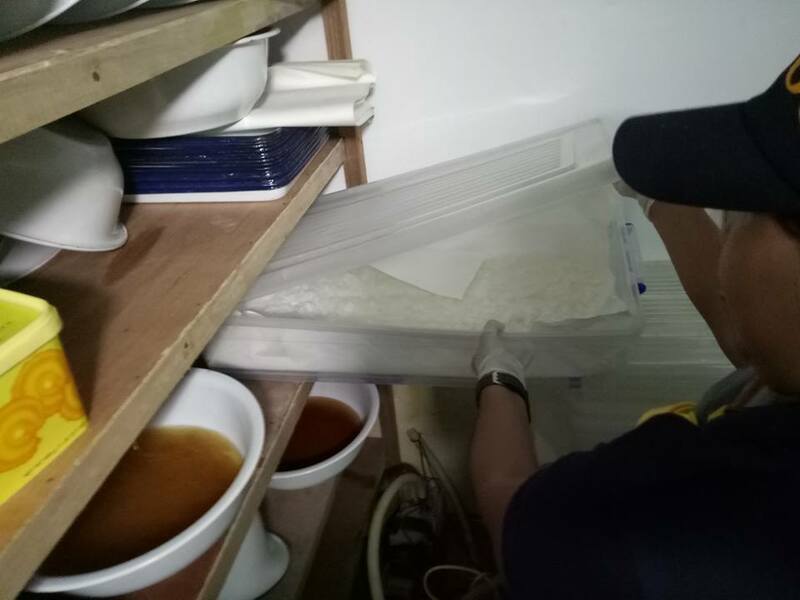 Balmadrid is the common-law wife of Atty. Erick Isidoro of NBI. 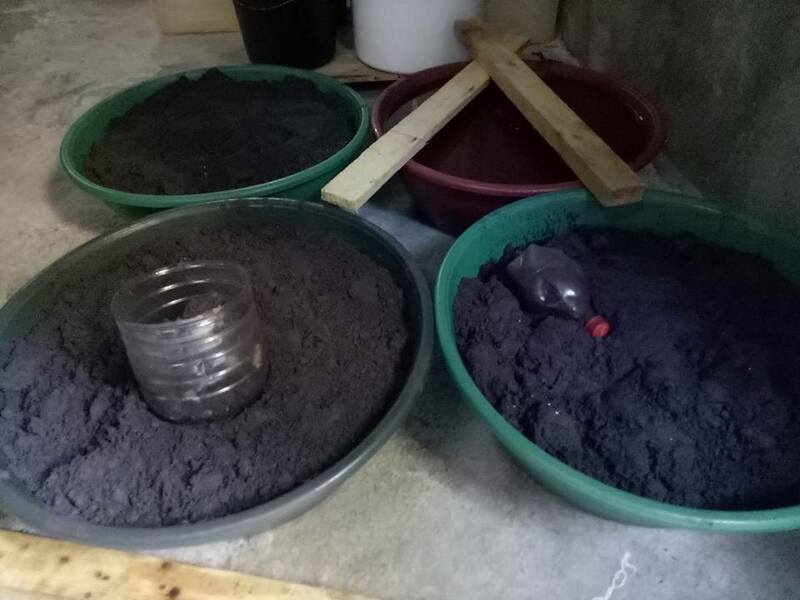 Earlier today, the alleged getaway vehicle of Uy was found in the town of San Andres, Catanduanes. Caretaker Pernia was taken into custody by the police for proper disposition prior to the filing of appropriate cases against the perpetrators. 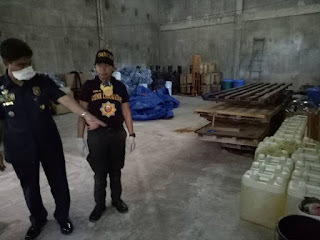 Meanwhile, in an interview by the BICOL STANDARD, Regional Director Buenafe said he is still onsite as the search continues to be conducted. 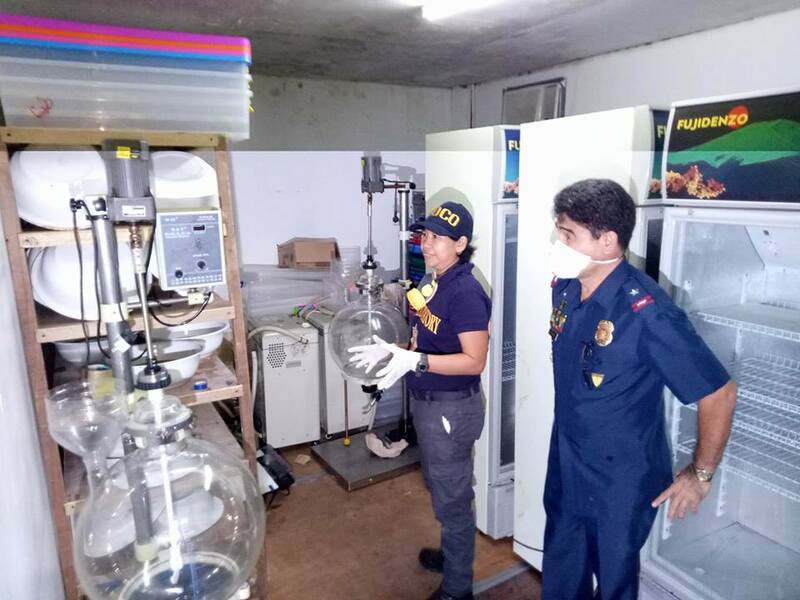 "Many of the containers of chemicals are still sealed, but it is very evident that they are used in the manufacture of illegal drugs," Buenafe stated. 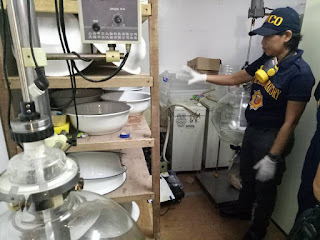 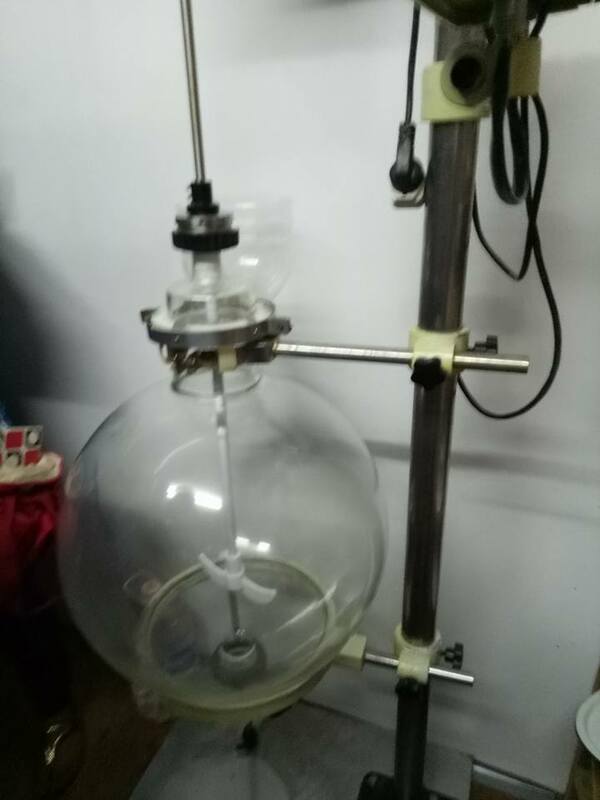 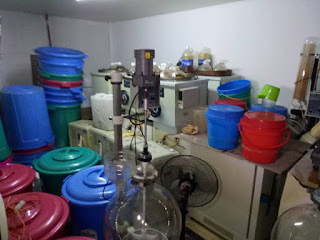 Members of the media from mainland Bicol and Catanduanes were allowed inside the facility by the police to see for themselves the numerous drug equipment and containers of chemicals believed to be used in the manufacture of shabu.